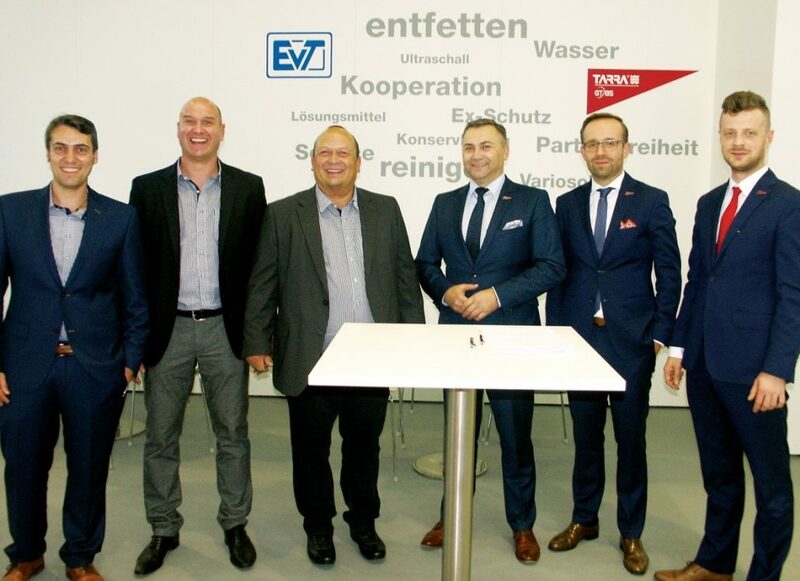 Fresh impulses on the German market for high-quality cleaning and degreasing systems for industrial parts cleaning: EVT Eiberger Verfahrenstechnik GmbH from Sternenfels, Germany has expanded its service portfolio to include water-based systems from the Polish manufacturer GT85 Polska Sp. z o.o. This exclusive sales partnership was finalised recently during the parts2clean trade fair. The “GT85 TARRA Compact 200” and the EVT “BAMBINO BASIC” 2-tank system are two examples from the trade fair that illustrate the power of both systems developers. Industrial component cleaning and surface finishing is developing across all key industries from what was once an unloved, cost-intensive necessity into an important value creation factor. Companies that offer high-quality, customer-specific solutions and concepts via their plants, systems, and services can provide competitive advantages to their business partners, for example in the medical technology, precision mechanics, optics, and the machine and vehicle engineering industries. 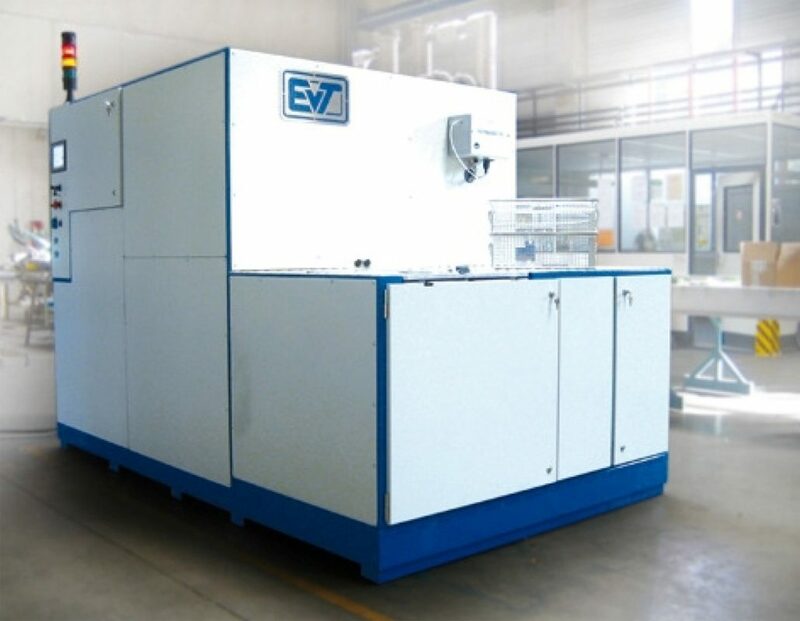 In the metal processing industry, EVT Eiberger Verfahrenstechnik GmbH has developed a very good name over 20 years to become known as an innovative manufacturer of individual cleaning and degreasing systems featuring all sizes and based on solvents. The same applies to GT85 from Lublin, Poland. Since 1999, a great number of satisfied customers in Eastern Europe have benefited from the high degree of professional expertise and high-performance plants provided by Poland’s specialist in water-based industrial cleaning solutions. Numerous business prizes emphasise the great reputation of GT85 in the eastern European market. For example, in 2016, the systems specialist won the MTP gold medal during ITM Polska (international trade fair for innovation, technology, and machines) with its “TARRA Compact 200”. MTP is one of the most famous prizes on the Polish market, and it is awarded for innovative products of the highest quality. For example, “TARRA Compact” (100, 200, 400) systems for cleaning parts in the spray or spray-submersion process are available with ultrasonic. The machine effectively removes surface contamination like oil, grease, and other residues. Design advantages include, for example, intuitive operating options provided by Siemens PLC, large process tanks for less frequent bath changes, distribution of spray nozzles in the immediate proximity of the parts to be cleaned for optimal washing results, and alternating coloured lighting for the working chambers to enable immediate identification of the current process status. 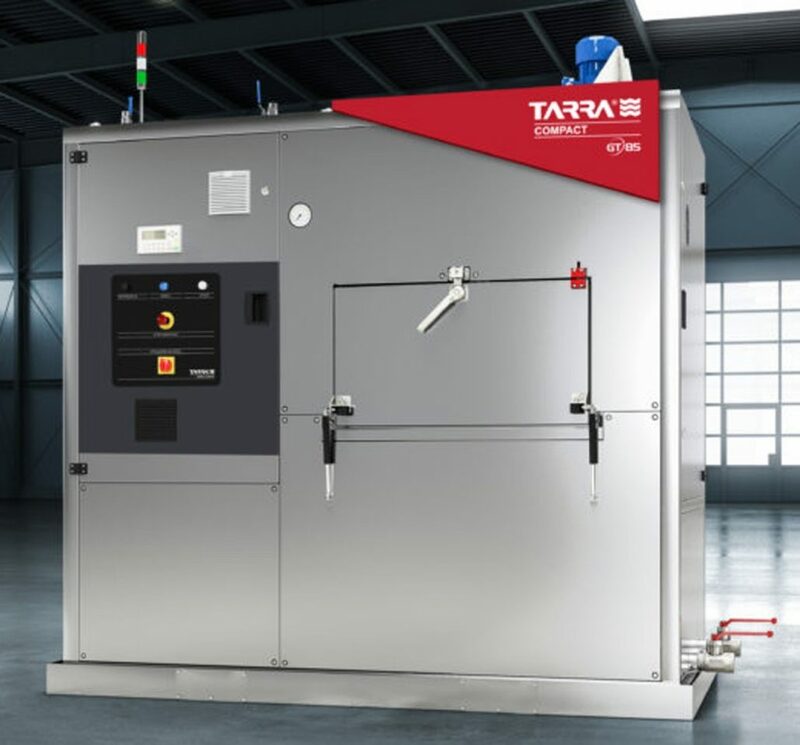 “TARRA Compact” 200 and 400 may optionally be equipped with ultrasonic cleaning technology. 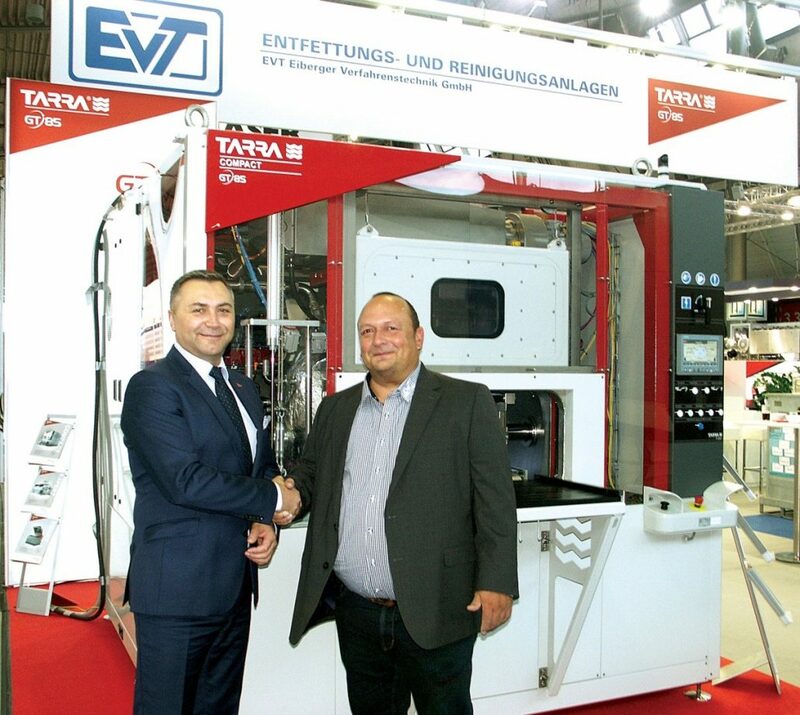 Shaking hands to confirm the sales partnership in front of a “TARRA Compact 200”: Harald Eiberger (r.), General Manager of EVT Eiberger Verfahrenstechnik GmbH, and Zbigniew Kurant, General Manager of GT85 Polska. The EVT “BAMBINO”, a jack of all trades used in a wide variety of industries to clean and degrease parts. The “TARRA Compact 200“ by GT85 Polska 2016 won the MTP gold medallion at the ITM Polska. The EVT Eiberger Verfahrenstechnik team and GT85 Polska after signing the contract.